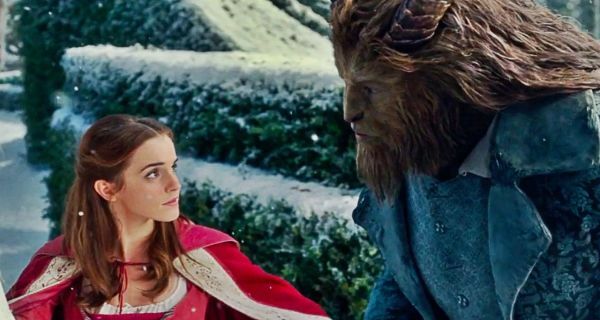 Plot: The live-action version of the classic fairy tale, when village girl Belle (Emma Watson) discovers her father Maurice (Kevin Kline) has been imprisoned by a horrible spell-bound Beast (Dan Stevens), she takes his place. At first resentful of the Beast, she begins to develop feelings for him. 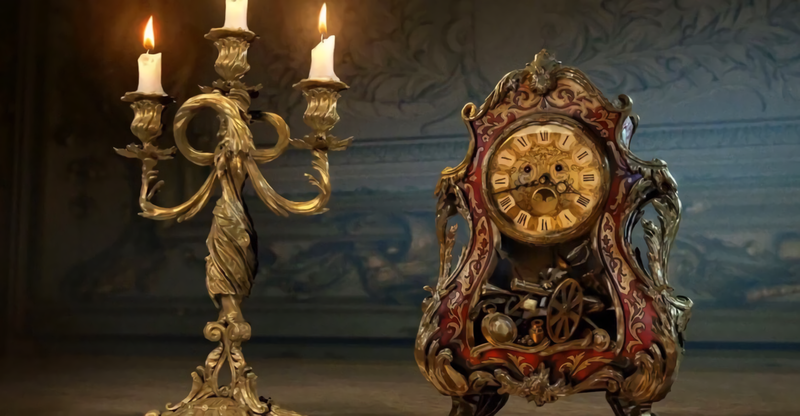 The Beast, Cogsworth (Ian McKellen), Lumiere (Ewan McGregor), Mrs. Potts (Emma Thompson) and other servants who are suffering under an enchantment hope that Belle will finally be the one to break the spell. 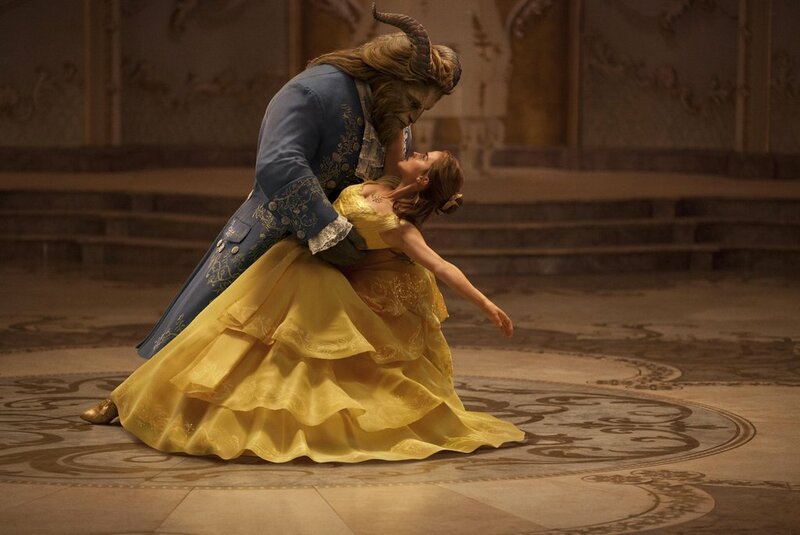 From a visual standpoint, Beauty and the Beast, overwhelmingly succeeds. Every detail from the village market to the Gothic castle of the Beast possesses a meticulousness that pops off the screen. The production value was on point with 18th century France coming alive and the color palette bright and luxurious. It’s a little cliché to say, but it felt like you could walk through the screen and into that world. Tobias Schliessler is a shoe-in for an Oscar cinematography nomination and brings Condon’s vision to life flawlessly. In fact the only thing I didn’t like was that the CGI rendering of the Beast’s face didn’t always feel cohesive and characters like Cogsworth, Mrs. Potts, and the like appear too cartoonish at times. From a casting standpoint, Beauty and the Beast is literally pitch perfect. (Pun not intended.) Everyone from the top down seems to be having a blast. Kevin Kline delivers a somewhat more reserved and less eccentric Maurice than Rex Everheart did two and a half decades ago. It’s endearing and his relationship with Belle really shines through. McGregor and McKellen as Lumiere and Cogsworth possess amazing chemistry, continually playing off each other with comedic eloquence. And if you were worried that the “Be Our Guest” scene wouldn’t live up to its predecessor, fear not. It’s just as good if not better. 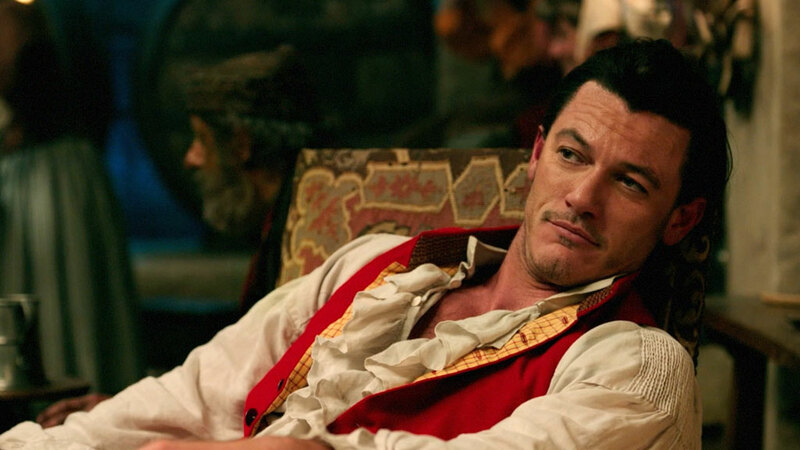 Additionally, Luke Evans steals every scene he’s in as the vain and arrogant Gaston. His look and attitude mesh well. Evans manages to balance Gaston’s braggadocio with the more malicious moments, such as when he starts a mob to kill the Beast. And Josh Gad couldn’t be better as the fawning, preening LeFou, Gaston’s friend. Furthermore, Gad does a good job evolving the character as by the end of the film, LeFou’s perception of Gaston is markedly changed. For all that, Beauty and the Beast wouldn’t work without the talented duo of Dan Stevens and Emma Watson. Stevens elicits a certain degree of empathy from the audience and even manages to throw in a moment of levity or two. Ultimately, we root for the Beast and that’s due in large part to Stevens’ performance. With Beauty and the Beast and FX’s hit Legion, Stevens’ star is set to rise high. His chemistry with Watson is palpable, not an easy thing when you’re covered in a large Beast costume. Emma Watson plays the perfect Belle, demonstrating amazing singing chops. Furthermore she brings independence, tenacity, boldness, and vulnerability to the character. In an age where strong female characters in movies are still somewhat lacking, Watson is a breath of fresh air. Her turn in Beauty in the Beast easily rates as her best performance to date. Aside from the CGI of the Beast which I mentioned earlier, I had only a few minor quibbles with the film. Beauty and the Beast was slightly longer than necessary and a few parts seemed mostly like filler. Also Audra McDonald’s Madame de Garderobe (who’s transformed into a wardrobe) I found grating and irritating. Of the enchanted characters she was the one I liked least. Additionally, there is an enchanted characters battle with the villagers towards the end of the movie that was overly long, ridiculous, and completely unnecessary. All told though, Beauty and the Beast is a perfectly satisfying live-action take on a classic fairy tale. In a world that’s in desperate need of some good cheer, this film will warm your heart. If Disney’s future live-action films are just as good, audiences are in for a real treat. I love the live action film. It was so entertaining. I saw this movie at the Drive in, and most of the time my brother and his friend were talking, so I didn’t hear a lot of it. But I loved what I could understand, and Emma Watson was starring, so that’s just a bonus for me.